Kelvin Droegemeier, the Oklahoma meteorologist whom President Trump picked as White House science adviser, won last-minute Senate confirmation on Jan. 2, the final day of the 115th Congress. Just in time to begin work in the midst of a partial government shutdown. The appropriations lapse has not only idled or denied paychecks to employees at the National Oceanic and Atmospheric Administration, NASA, the Environmental Protection Agency and the National Science Foundation. Droegemeier’s own staff, according to the White House shutdown contingency plan, is down from 22 to six working employees. Nonprofit science advocacy groups have mobilized members to implore the White House and congressional leaders, for the sake of time-sensitive scientific research, to negotiate an end to the stalemate that centers around Trump’s demand for a Southern border barrier. At the National Weather Service, “I’ve never seen morale as low as it is right now,” Dan Sobien, a 27-year veteran of the National Oceanic and Atmospheric Administration and president of the NWS employees organization, told Government Executive on Friday. True, the weather service is deemed “essential” for protection of life and property, so its core functions such as sending out forecasting alerts continue during the shutdown, he stressed. 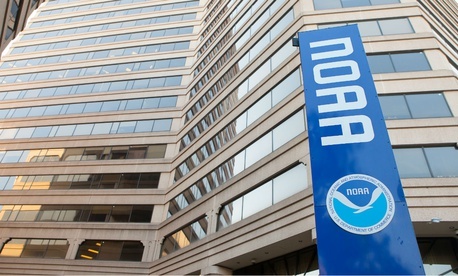 The National Weather Service Employees Organization has joined other unions in a lawsuit alleging that the government is violating the law by requiring federal employees deemed “essential” to work without pay. “No one knows yet what the damages will be,” Sobien said. Elsewhere in the furlough-hit NOAA, an employee in the fisheries section told Government Executive,“Most furloughed employees are frustrated.” Many of the permit applications from water vessel owners, some of them scientific in purpose, are not currently being processed, and it’s unclear even to staff which ones have gone through, he said. Similarly, legislation passed last year that promotes recreational fishing for red snapper in the Gulf of Mexico is not being implemented, he said. It cited delays in “vehicle launches, monitoring of dangerous chemicals in the environment, inspection of food-processing facilities, control of invasive species” as well as pauses in potentially life-saving research into antibiotic resistance being done at the Agriculture Department’s National Center for Agricultural Utilization Research. Also, the grant review and disbursement process at the NSF is stalled, Holt said.